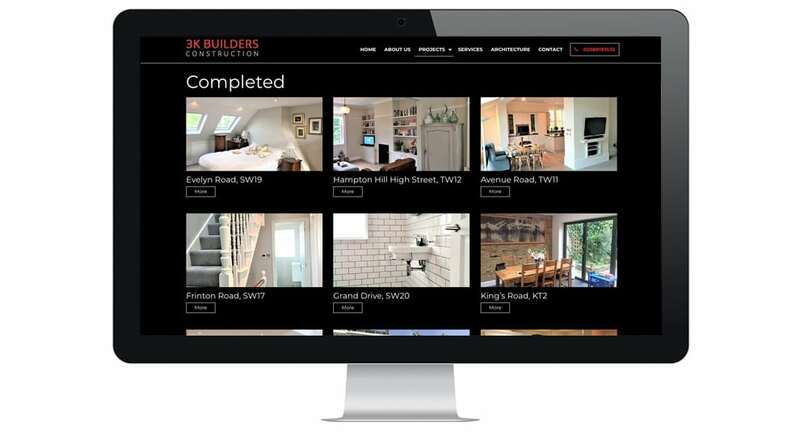 3K Builders is an experienced construction company based in South West London that specialises in refurbishment, in-house extension and loft conversion projects. Lonlogic previously worked with them before but until recently we were recommissioned for a contemporary standard redesign. 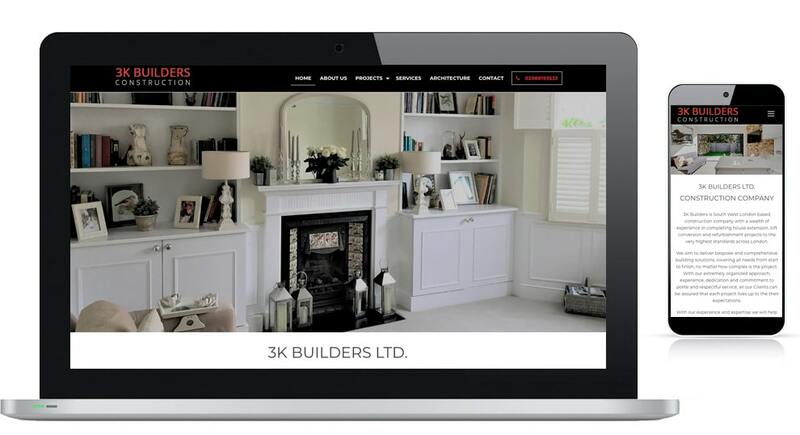 This project’s focus was to showcase the quality of work 3k Builders produce. We achieved this by adding a gallery on the projects page which contains two sections: in progress and completed along with additional galleries.